Hi everyone! 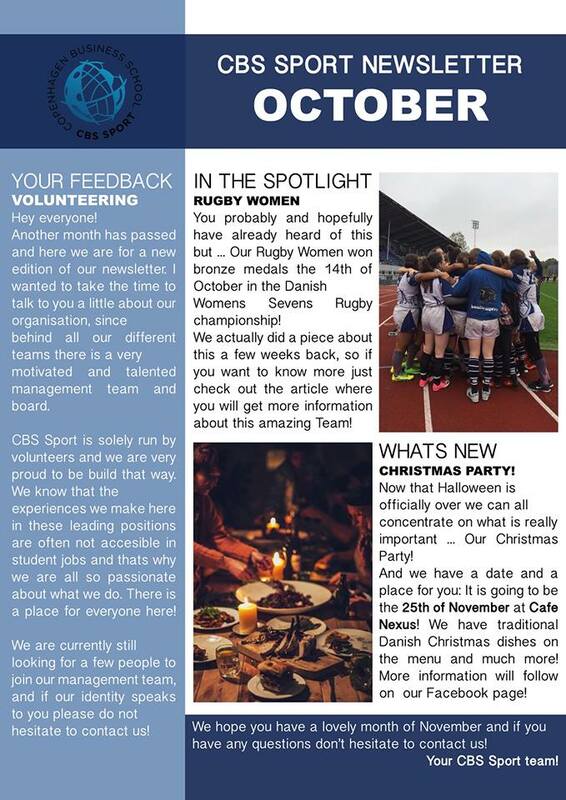 The latest edition of our newsletter is ready! Find the event for the CBS Sport Christmas Party here!